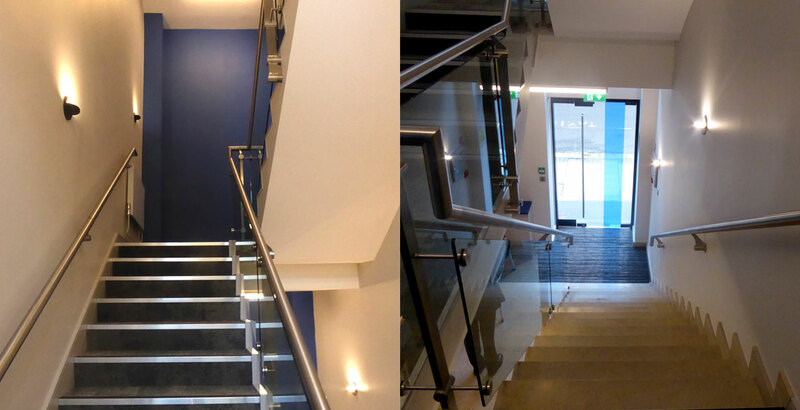 Our latest commercial area refurbishment to the exterior entrance, reception area, the common stairwell and landings of a prestigious office located on Temple Row, Birmingham. 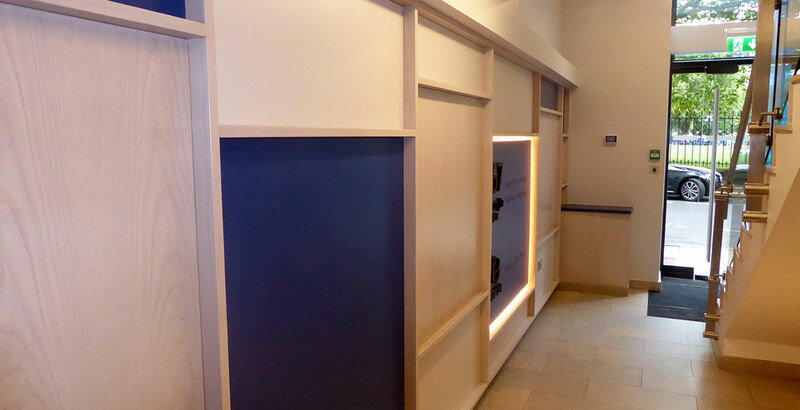 The work had to be carefully programmed to avoid causing disruption to the existing tenants: Rothschilds and Handelsbanken. 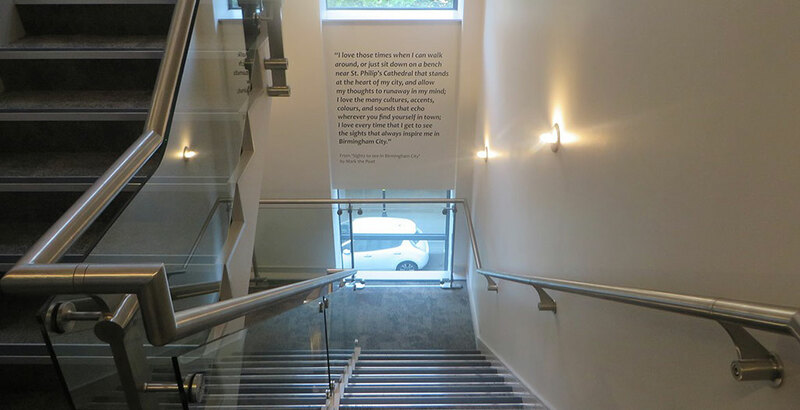 Works included the replacement of the floor finishes and a new entrance mat, full redecoration with inspirational wording and feature walls, air conditioning, heating and electrical works. 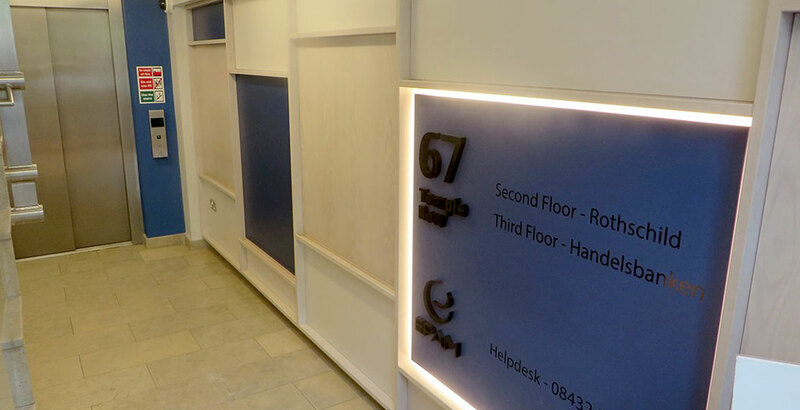 A new feature joinery wall was created on the ground floor incorporating a new tenant directory board, together with LED lighting and areas designated for other artwork to be added. Externally, there was a complete respray of the external door and window frames, canopy supports and ventilation grill. A new external illuminated sign was also added.